Last weekend saw the first RS Aero regatta of the season in Germany. Hosted by the SCD at Lake Dümmer 12 RS Aero 7s were entered for a weekend of racing on Lower-Saxony’s second largest lake. Apart from the Aeros Contenders, Finn and Europe dinghies were racing as well. On Saturday the fleet of more than 100 boats headed out for the first start in excellent yet challenging conditions: sunny skies, easterly winds and 12-16 gusting up to 20 knots. After Contenders and Finns the RS Aeros were third to get started. Three races were sailed back to back, each taking about an hour on the triangular course. Especially on the upwinds the fleet was very well mixed up due to the wind shifts, whereas on the reaches and downwinds some sailors couldn’t avoid one or more capsize. Marcus Walther made by far the most of the conditions winning the first two races with a huge lead and also taking the third race after being in second place for the first lap of the race. 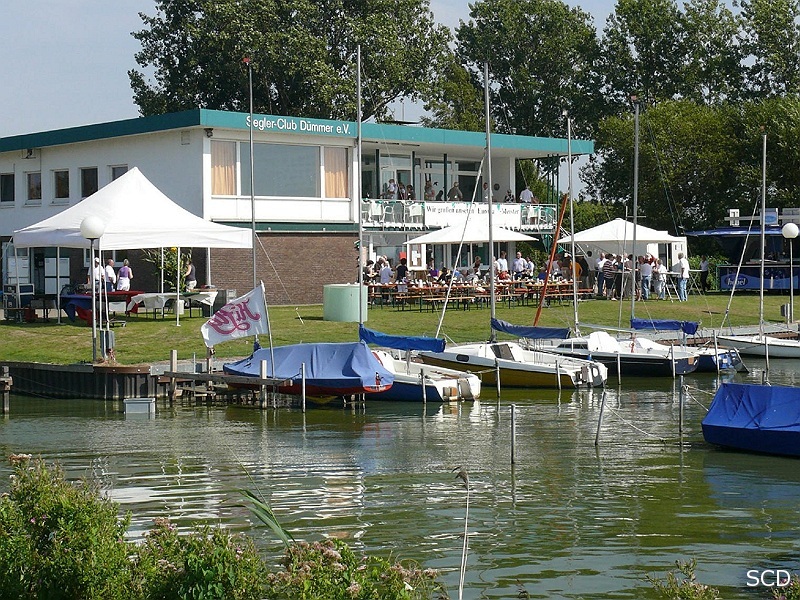 In the evening sailors could recover from racing at the barbecue party with plenty of delicious food and drinks. The fourth and last race was scheduled for 11 o’clock on Sunday. However the day started with mist, temperatures around 8°C and….no wind. Racing was postponed ashore, giving sailors time to discuss yesterdays tactics and Aero technique. There were also some keen sailors from other classes having a good look at the Aero. At around 12 o’clock the sun slowly came out and a light breeze from the northeast kicked in. The racing committee took the chance and racing got underway soon after. The last race was sailed in very light winds making up for Saturday’s conditions and seeing some of the lighter sailors on top of the fleet with Matti Biedermann finishing first. Overall standings after four races were Marcus Walther (DSCL) in first place, Lasse Lemmer (SCFW) in second and Juliane Barthel (SCD) in third place. We hope to see some more Aero sailors at Einhandwochenende 2018 and look forward to racing in Haltern next weekend.